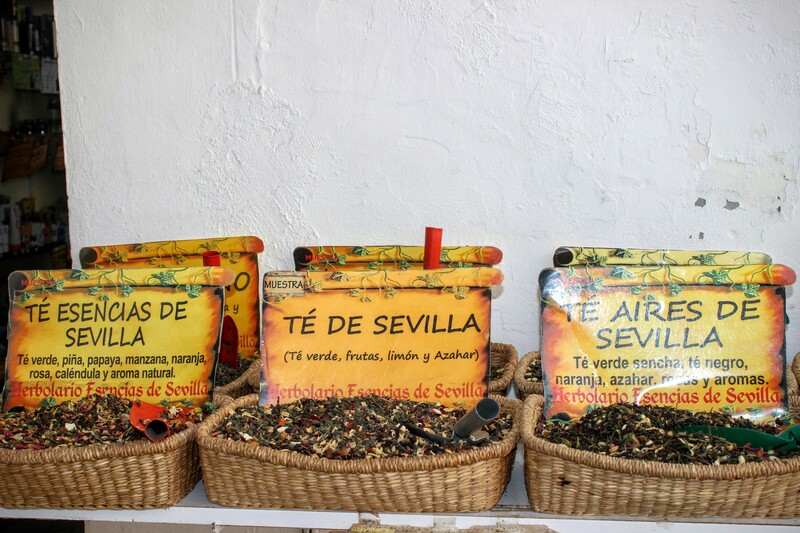 Seville in a small city. Stay anywhere near the Barrio Santa Cruz neighborhood and you should be good. We stayed here in a Air B and B and had an absolutely wonderful host. Sevilla has a small airport you can fly into. 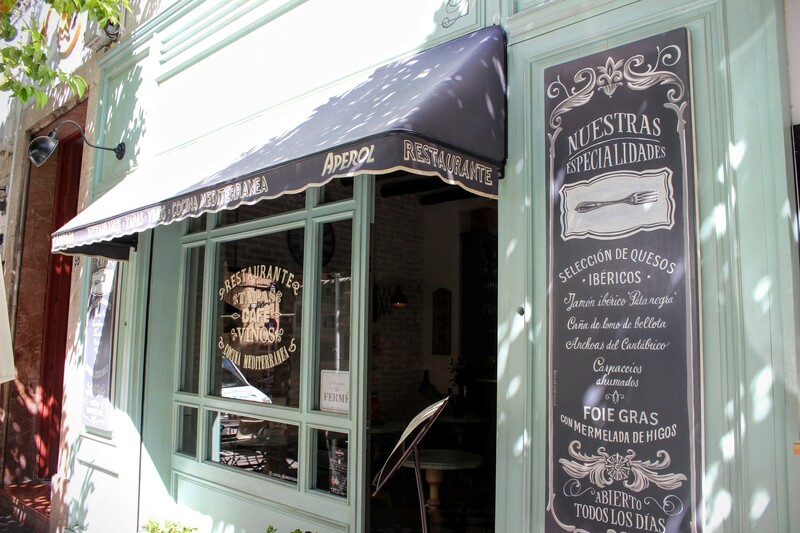 The nearest train station from the Santa Cruz neighborhood is Santa Justa. I took the train to Granada from here. Everything else is within walking distance. Also, there are trains which run within the city. 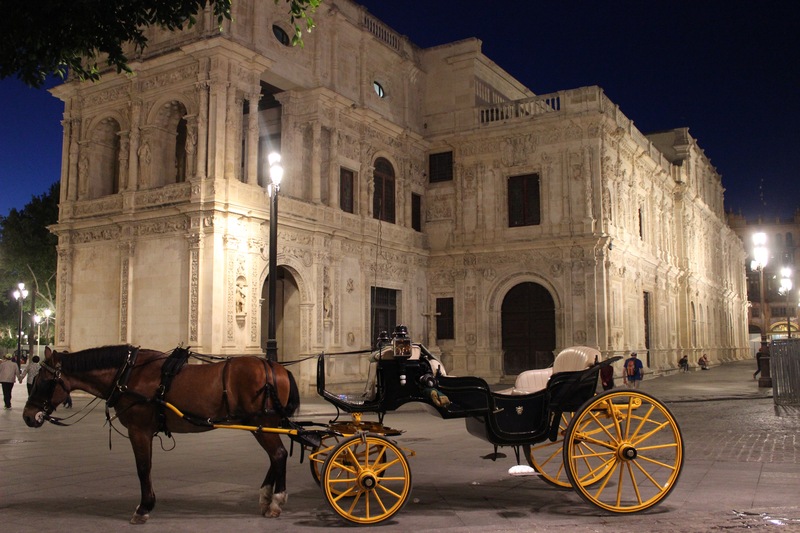 There are even horse carriages to get you to your hotel if you are too tired to walk. I reached Seville by mid morning. After dropping off our luggage and freshening up I was all set to explore the city. It’s a beautiful cathedral located in the center of the city. I would suggest you buy your tickets for this beforehand. 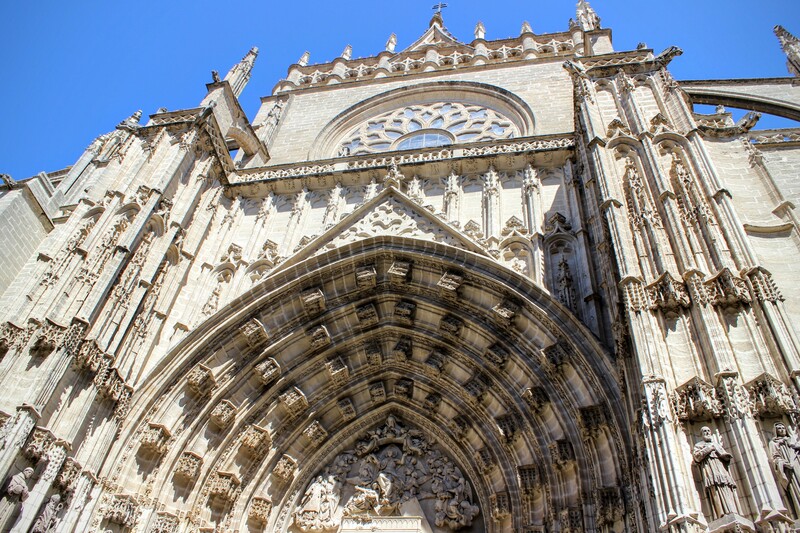 Your ticket also includes free entrance to the Baroque masterpiece, the Iglesia del Salvador. 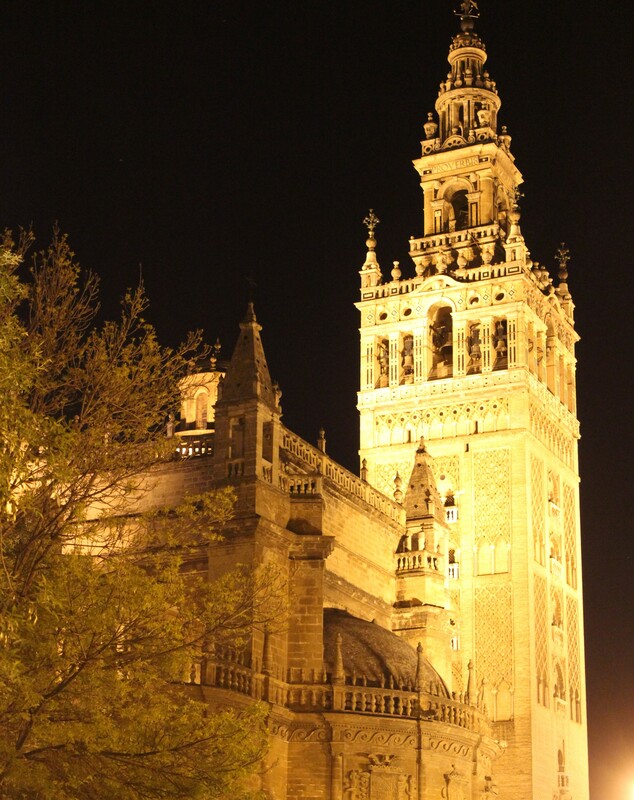 You can also visit the Torre Giralda – tower on the NE side of the cathedral. 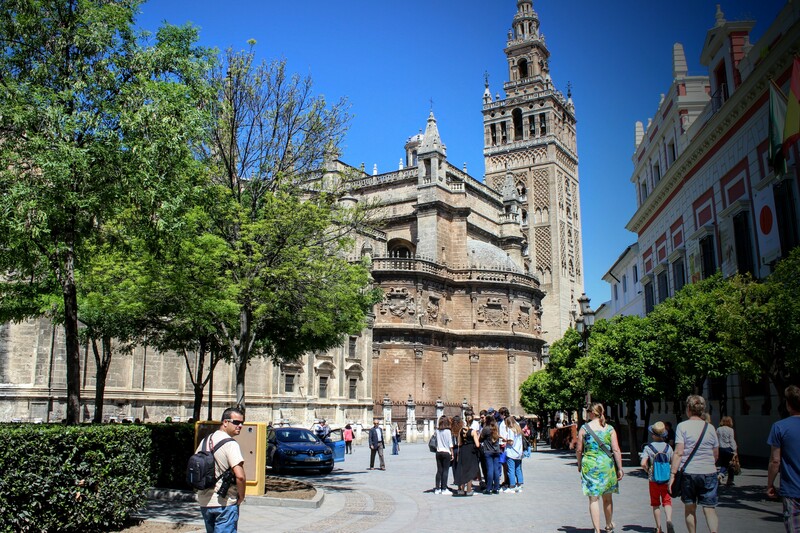 The hike to Giralda is included in your entrance to the cathedral. If yo don’ t want to climb on a hot day, save your energy and enjoy the view from Patio de los Naranjos. 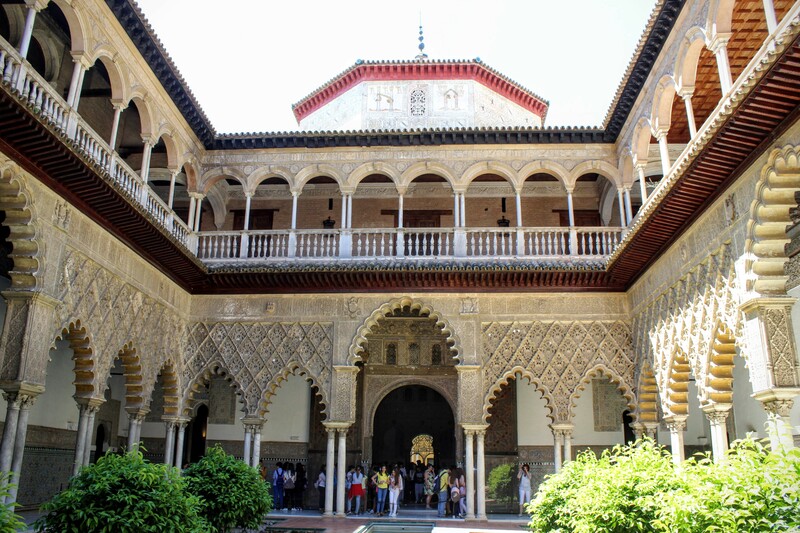 This is a beautiful palace built by the Sultan of Seville back in the day. Every part of this palace has a story in itself and is mesmerizing. Also, added incentive – Game of Thrones was shot here. Can you guess which city? Also, again buy the tickets for this online and save time by not standing in line for 2 hours on a hot day. 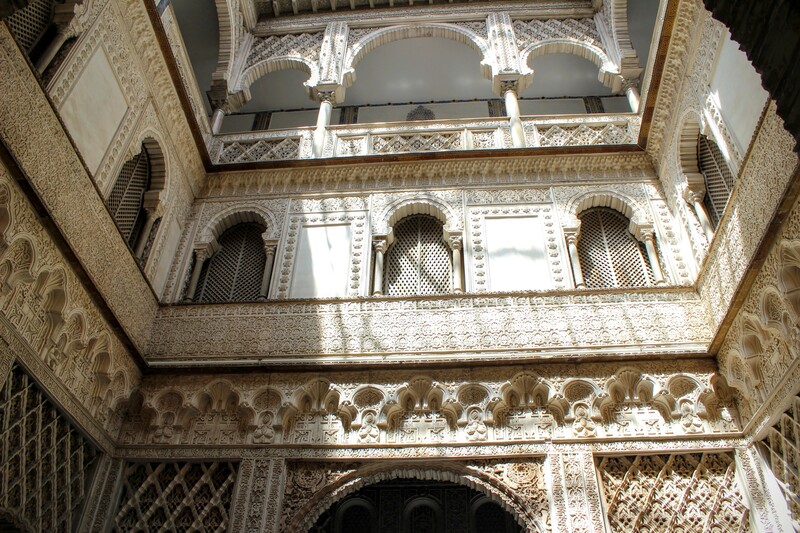 This is beautifully lit up at night as well, so do walk by the Alcazar at night. This is the prettiest neighborhood I’ve every seen. Every lane is different and colorful. 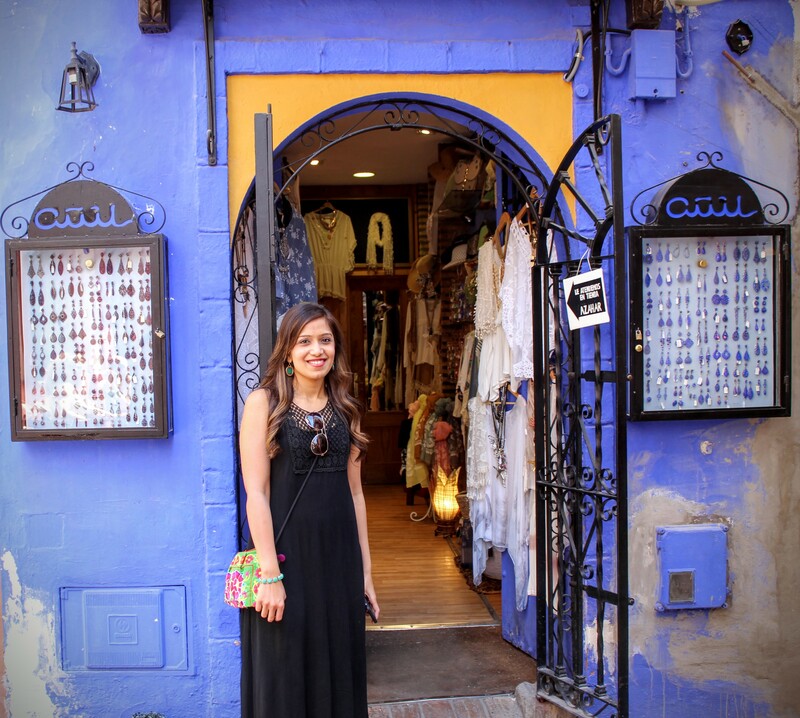 It’s full of cute shops, musicians, street artists and fun restaurants. At night, this city has a different charm all together. 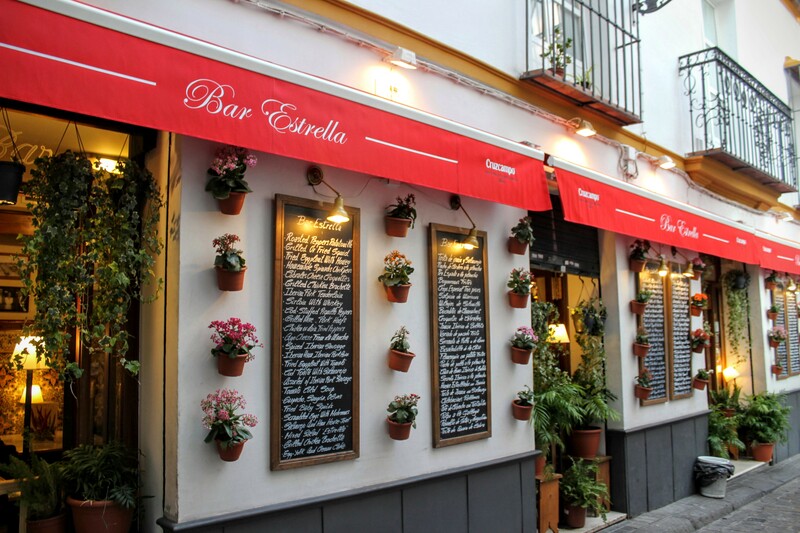 Since the Spanish dinners run late, everything is open till very late. Dinner generally starts at 9 PM and goes on till midnight and more. Also for tapas, do try the Spanish omelette. This is a beautiful plaza. About 1.7 kms from the Santa Cruz neighborhood. 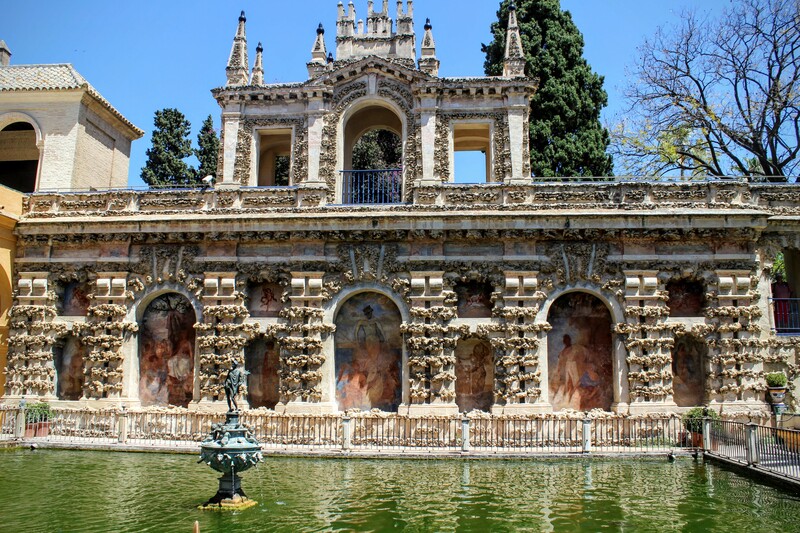 You can walk through the Jardines de Murillo and then onto Plaza De Espana. 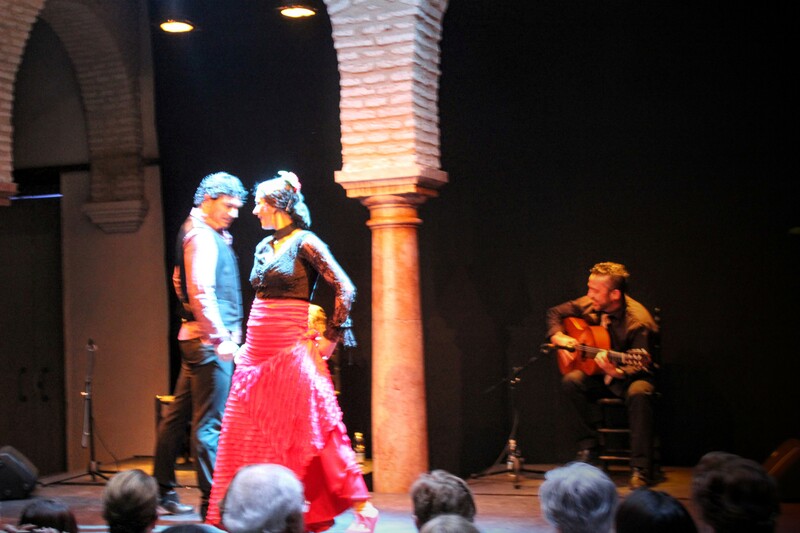 So I researched quite a bit before my trip to find the perfect Flamenco show that gave conveyed the true essence of the art form without burning a hole in my pocket. Museo del baile was the perfect experience. There were 4 artists (2 dancers and 2 musicians). They were full of energy and enthusiasm and even though I can’t speak good Spanish they conveyed a lot of emotions via their expressions. There is a bar at the back, where you can purchase drinks. Get here early to find good seats and get an unobstructed view. Here is the link to buy the tickets. 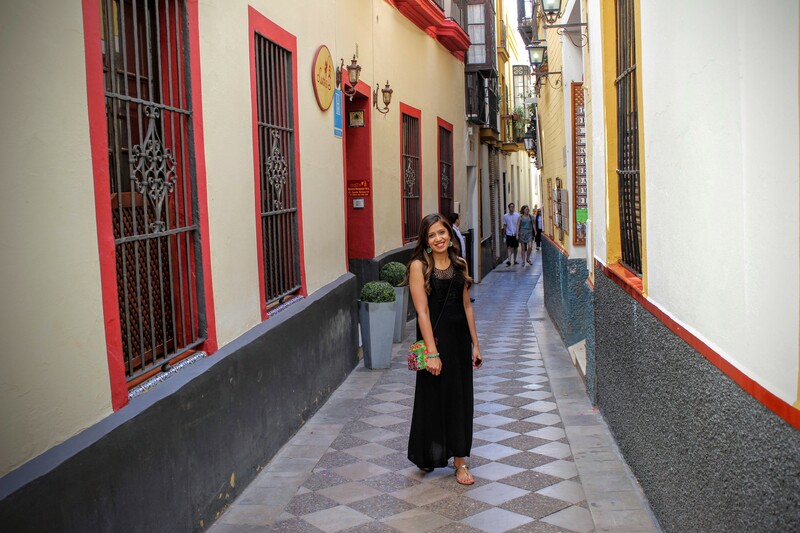 Love it hun… an u look fab in that black dress..
Ankita this looks like a dreamy town.The pics are so well shot.Seville,never heard of this place but after seeing your pics I want to go there.That black dress looks so good on you.You totally rocked it darling. Wow lovely post ankita..☺ didn’t know about this place .. but it seems beautiful ..and you looking gorgeous in black.. happy weekend sweets..
Lovely photos! 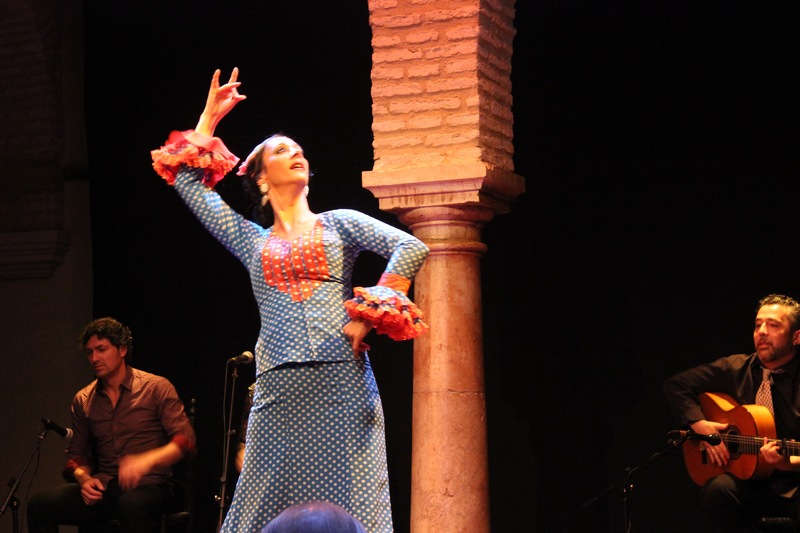 I’ve always wanted to go back to Spain after a fab holiday in Barcelona – this looks great! If you haven’t been to Cordoba, it’s like a very small intimate version of Sevilla with less of the grandiose and more of the tiny streets winding around and around but still with an epic mosque to visit and tons of good food. 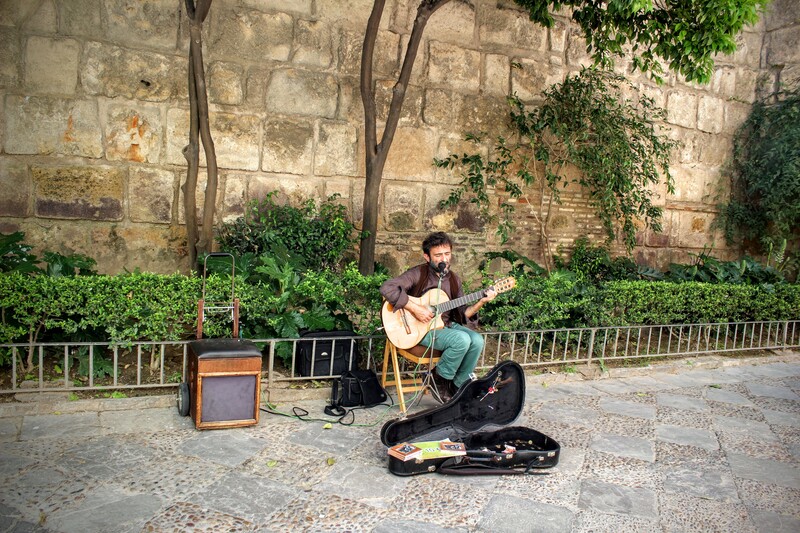 Ahh yes Seville was beautiful. 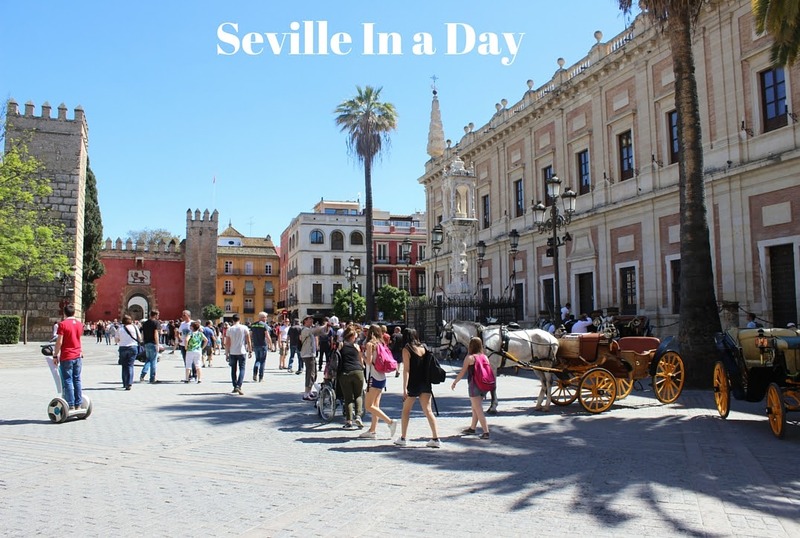 I was contemplating between Ibiza and Seville and ended up opting for Seville as I wanted to experience the southern Spain feeling in the city. Hope you get to go there soon and yes agreed – summers are blazing hot there. Seville looks amazing! I’ve heard only good things about this place so far and I can’t wait to experience it myself 🙂 Great article! 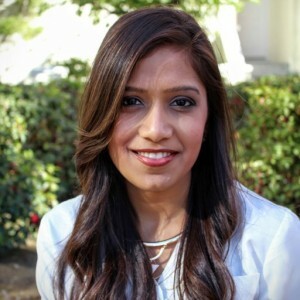 I love reading this post Ankita. Thanks for all the tips.